I have known the guys at Tope’s for years and wouldn’t trust anyone else with my family’s vehicles. I always feel confident when we leave our cars and have found them to offer a quality job at a good price. 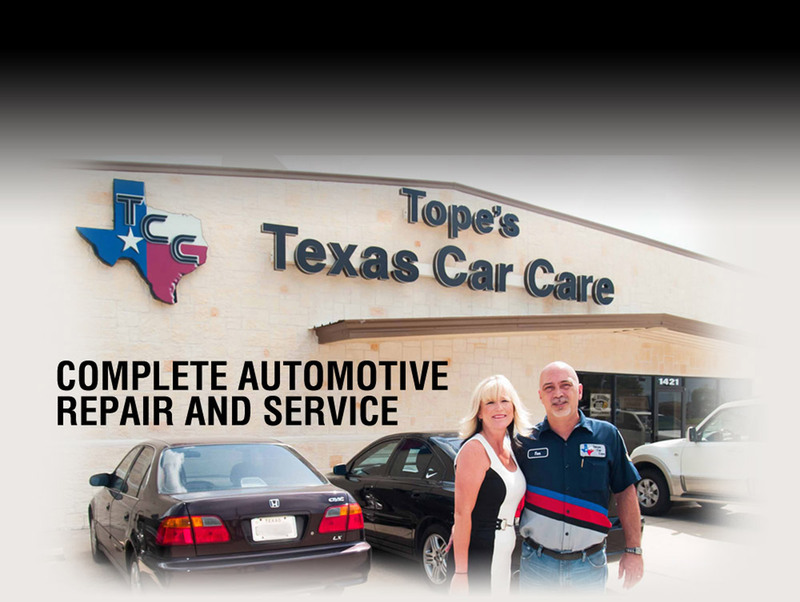 Personal service and honest repairs at Tope’s brings excellence in the Auto Repair Industry. Thanks so much for speedily repairing our vehicle. It has operated like a charm since you made the repairs. Our Service Engine light (which had been on since Nov.) has gone off and stayed off. We could never thank you enough for the loan of the car. Your kindness is greatly appreciated. We would not hesitate to use your service again. We would highly recommend you to anyone. If we lived close enough, you would become our service center.